The Hypergrid Safari visited the OpenSim-based Openvue and AiLand grids on 26th November 2014. This web page gives some information to help safari members get the most from their visit which was planned by Thirza Ember. Openvue is the Virtual University of Edinburgh’s OpenSim grid, running continuously since July 2007. 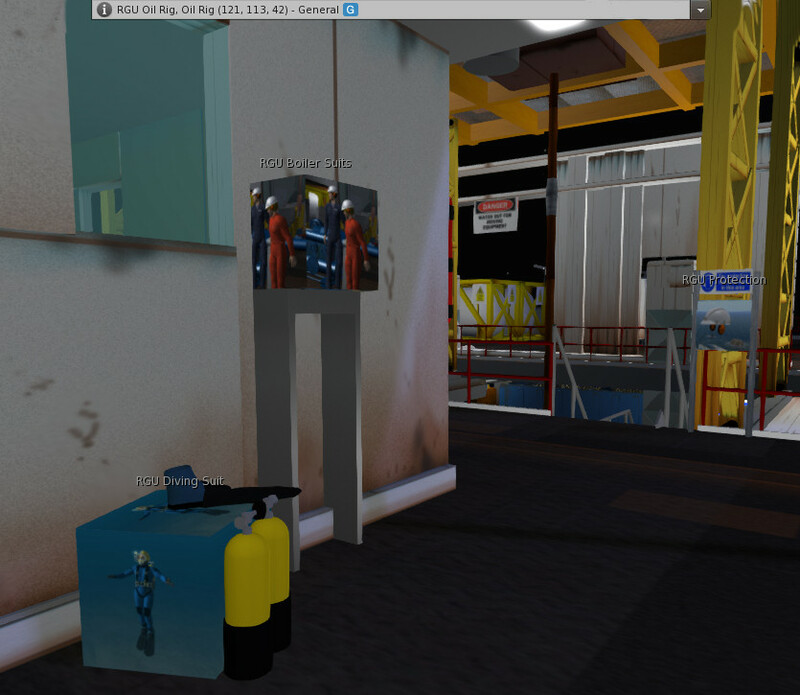 It complements the Vue regions in Second Life. AiLand is a grid for experimental builds and demonstration facilities in which some regions may be temporarily mounted. It also is used to replicate the Vue regions on OSGrid when that grid is unavailable. The servers coped reasonably well, even on the mesh rich regions as avatars arrived together. AiLand runs on older servers with less capacity than our more recent Openvue grid setup. The suggested viewer is Firestorm or SingularityUse CtrlAltStudio if you wish to use an Oculus Rift. The AiLand regions have many mesh objects on them. They show best with “LOD factor” (RenderVolumeLODFactor) set to 3.5 rather than the lower default. Change this in any viewer via the Advanced menu (enable with ctrl+alt+D), Show Debug Settings, type in RenderVolumeLODFactor and set that to 3.5. In Firestorm, you can also use Preferences – Graphics – Advanced Settings – Objects & Sculpts LOD – Set to 3.5. In Singularity the “Object Detail” does the same thing and should be set likewise to 3.5. 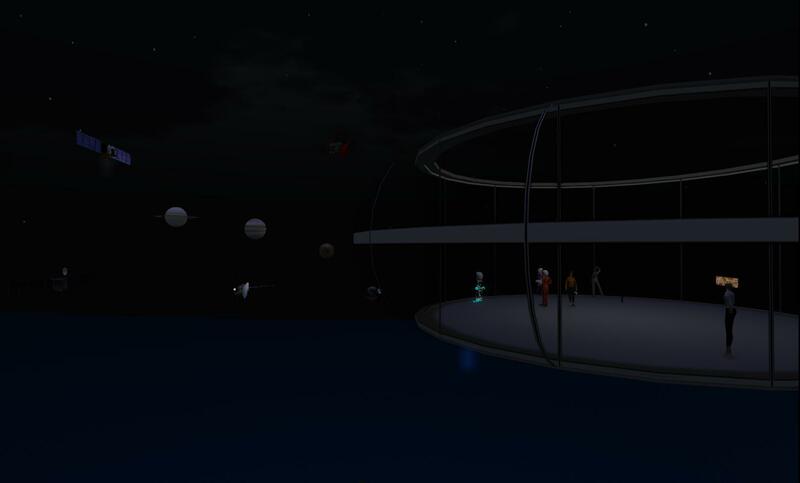 The tour takes us below the 0m level.. into negative Z territory underwater, which is allowed in OpenSim… so you can test if your viewer setup allows that. There may be rendering issues deep underwater in some systems in Singularity, and the deep water view may look better in Firestorm. If your setup and network bandwidth allows it, set the view distance to at least 256m (and up to 512m) as there are nice vistas across adjacent regions. 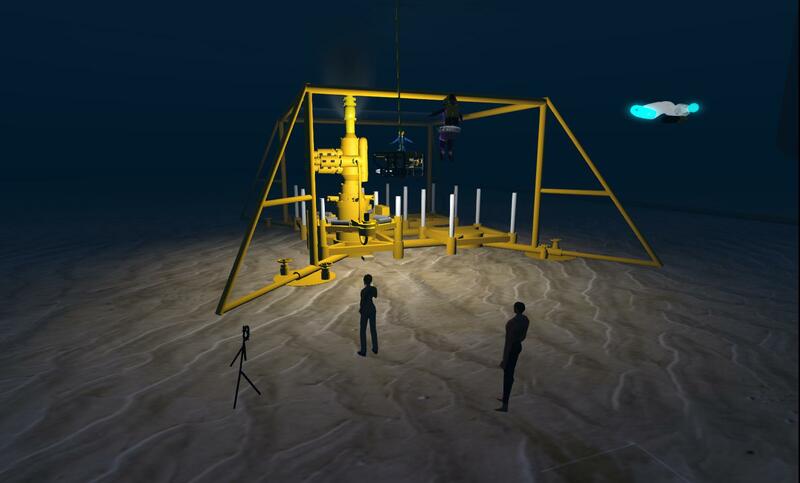 Allow the region defaults to be used for lighting, the oil rig area is at night time for a more realistic experience. Sound is used in the builds on some Openvue and AiLand regions so ensure you have that audible. Vivox voice is enabled on most regions on Openvue and AiLand, but may have limited capacity. You will experience extremes of environment and will need specialised clothing and equipment (diving gear, ear defenders and hard hat, and a spacesuit! (all provided open source by attribution to the originators and you are welcome to take home as a reminder of your visit). 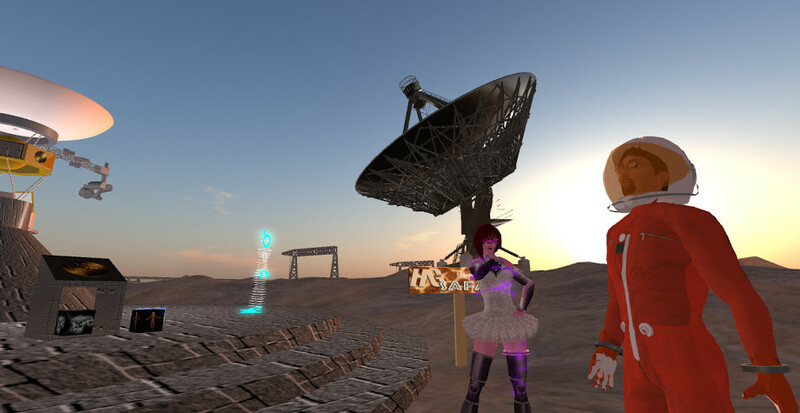 Because you should change outfits as you visit the different areas on AiLand, to be able to change back to your normal appearance and clothing it would be sensible to pack a copy of your travelling outfit in your Hypergrid “My Suitcase” for use while away from your home grid. Make an outfit from that copy for convenience and to allow quick changes. 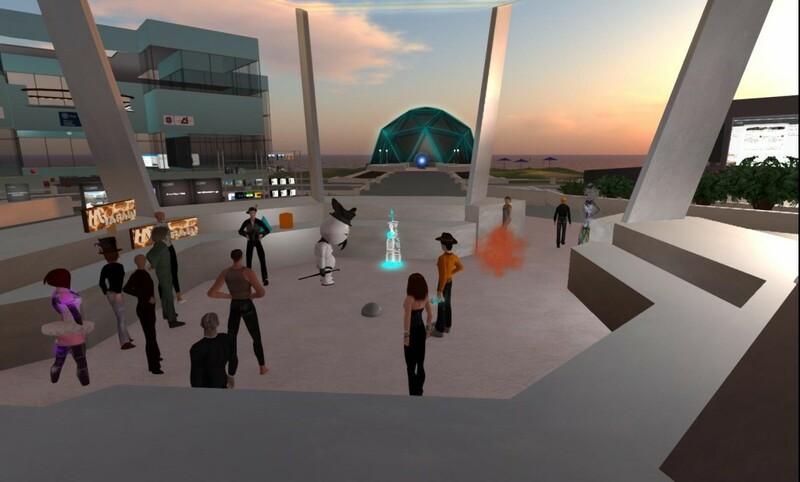 This entry was posted in OpenSim, OpenVCE, Virtual World and tagged AiLand, HyperGrid, Openvue, Safari. Bookmark the permalink. Welcome to the AiLand grid. This is a grid with experimental, demonstration and some of my hobby topic regions. 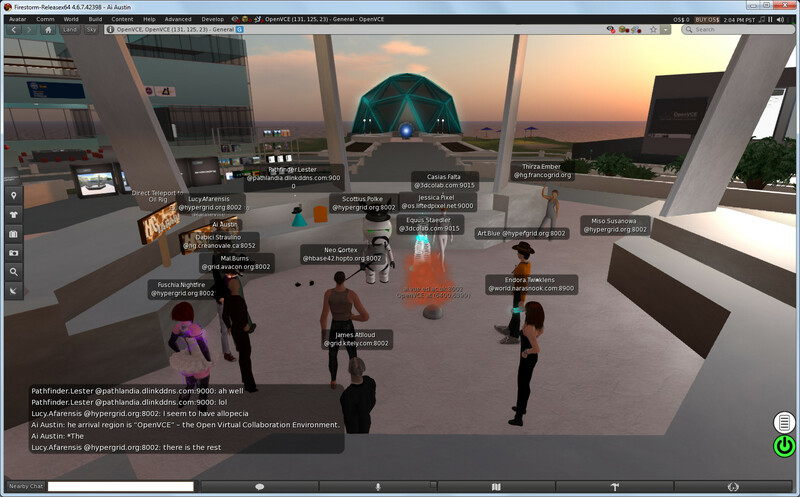 It runs alongside and on some of the servers for our main OpenSim-based “Openvue” grid. 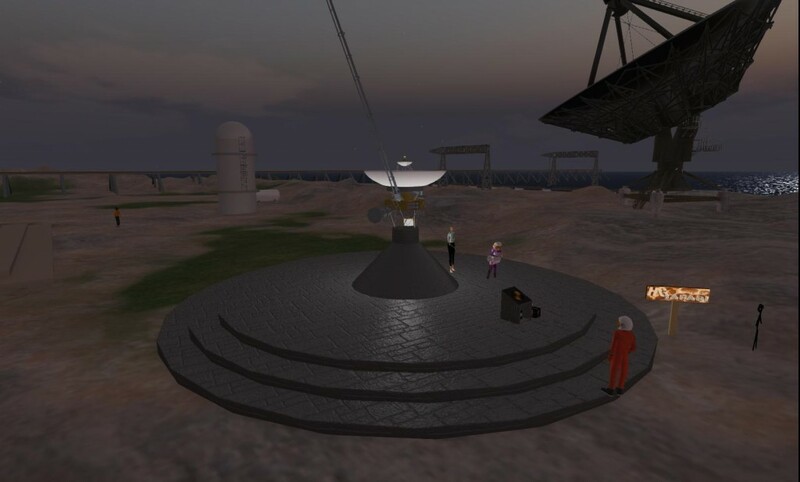 Openvue complements our Second Life Virtual University of Edinburgh (Vue) regions which are used by many schools and groups at the University of Edinburgh for teaching, research, graduate outreach and so on. 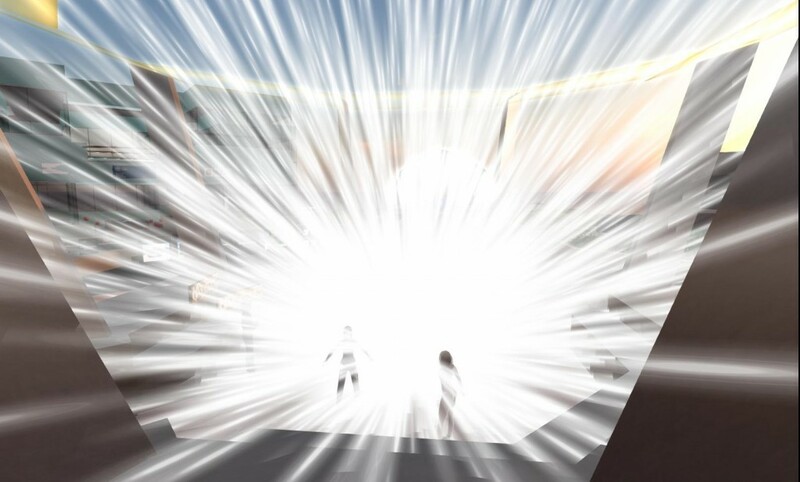 The arrival region is “OpenVCE” – the Open Virtual Collaboration Environment. It includes a range of facilities for collaboration, teamwork and educational purposes. It includes a large amphitheatre, an expo pavilion, and many project and meeting spaces tucked away here and there. It also houses an “I-Room” – a virtual space for intelligent interaction. This supports collaborative teams in real or training events for example in an operations centre. This relates to my own research in using Artificial Intelligence (AI) for teamwork, collaboration and activity support, especially in emergency response. * Space City – a region with content related to Gerry Anderson’s Fireball XL5 SciFi puppet TV show from the 1960s. It also contains a Voyager Spacecraft memorial (our AI planning technology was used by NASA JPL as a basis for their first SAI planner and for planning the Voyager Neptune flyby) and other spacecraft such as Deep Space One (which was controlled autonomously by an AI planner for a period in its mission). There are HG Safari signposts at each location to let you quickly teleport to the next location.